He was called for a fourth personal foul right at the end of the third period in yesterday's Asean Basketball League (ABL) match against the Formosa Dreamers, putting Singapore Slingers power forward Delvin Goh just one offence away from fouling out. 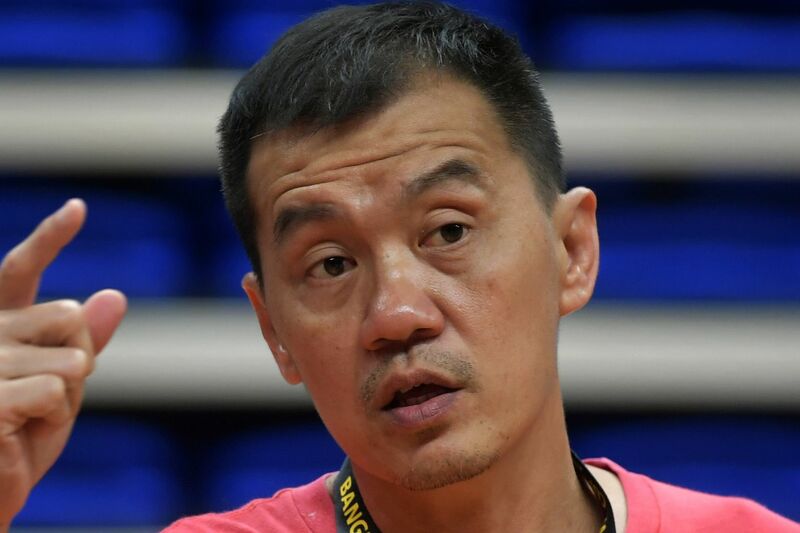 Some coaches might have opted to take him off and save him for the final minutes of the last quarter, but Slingers coach Neo Beng Siang took a bold decision and kept the 23-year-old on the court at the Changhua County Stadium in Taiwan. The gamble proved a masterstroke as Goh contributed three points from a lay-up and a free throw, as well as one steal and one offensive rebound in four minutes before he committed his fifth foul on Malcolm Miller. By then, the damage was already done as the Slingers opened the final quarter with a 9-0 run to extend their lead to 15 points, and they eventually won 88-80 to end their two-game losing skid. Neo said: "We needed Delvin's rebounds at both ends and he did a good job, so it (keeping him on court) was worth it. "I'm happy and proud everyone played good defence and stayed disciplined against a good team and a tough away crowd." 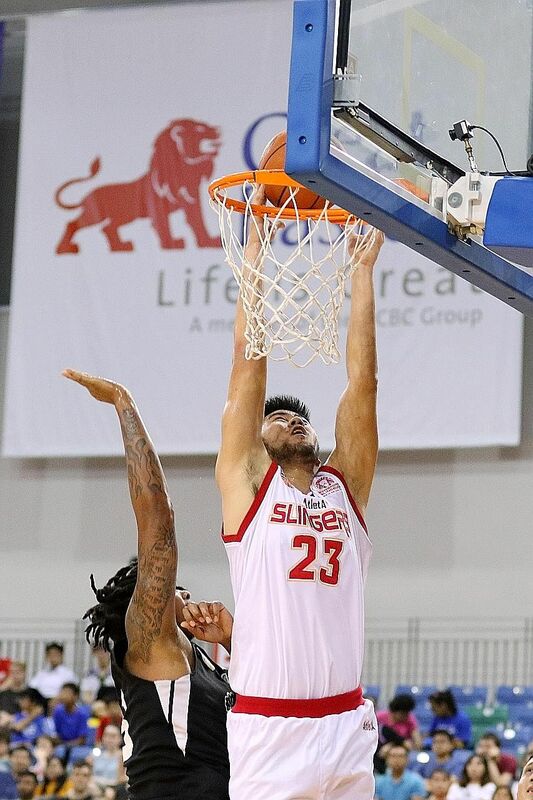 While the Slingers (6-3) remain fourth in the 10-team ABL, they inflicted a first home loss on third-placed Dreamers and exacted some form of revenge for the 77-73 reverse at the OCBC Arena in November. It was not just Neo and Goh who displayed courage and decisiveness. Dreamers' American centre Will Artino landed heavily on his ankle after making a basket in the third quarter and had to receive treatment in the locker room, but showed great resilience to return to the court after just two minutes. Slingers' shooting guard Ng Hanbin was not so fortunate after being knocked in the knee by Kenneth Chien in the same period. Up to that point, Ng was the best shooter in the arena as he converted five of seven field-goal attempts, including four successful three-pointers. Neo said: "He has not scored as much as we would have liked in previous games, and it could be a confidence issue. We needed Delvin's rebounds at both ends and he did a good job, so it (keeping him on court) was worth it. NEO BENG SIANG, Slingers coach, on his decision not to take Delvin Goh out of the game despite the power forward being one foul away from getting ejected. "But we continue to give him the green light to shoot, and he delivered today. We hope he is okay and will return soon to help us." Basketball is often described as a game of runs, and the Dreamers almost mounted a comeback in the final quarter when they produced their own 11-0 run to reduce the Slingers' lead to just four points. But Slingers forward Jerran Young then took over with two fearless drives to the basket to ensure there was to be no late collapse. The 27-year-old American starred with 27 points - making all 11 of his free throws - 11 rebounds, eight assists, four steals and three blocks. This win is a morale-booster for the Slingers as they tackle four games in eight days. They play Hong Kong Eastern and Zhuhai Wolf Warriors on Wednesday and Friday respectively, before facing Mono Vampire at home on Sunday. Neo said: "We gave them a few days off in the festive season and we have confidence in our pre-season work and we will be making sure the players have the best recovery they can have in between games." In other matches yesterday, Hong Kong Eastern beat Westports Malaysia Dragons 89-78, Saigon Heat defeated Mono Vampire 101-82, and defending champions Alab Pilipinas stayed top by beating Zhuhai Wolf Warriors 105-95.